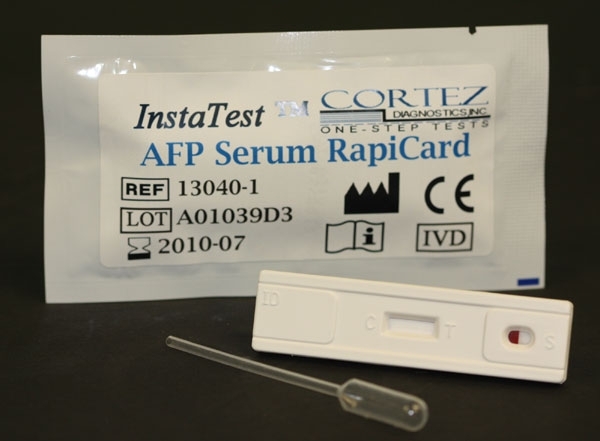 CEA Rapid Test (Strip 5mm) | CE-GMP | 818-591 3030-USA. 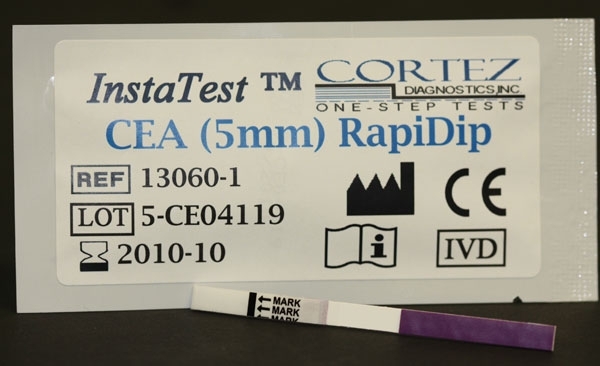 Diagnostic Automation/Cortez Diagnostics Inc. offers a Cancer CEA RapiDip Insta Test (5mm strip) which is a direct binding test for the detection of Carcinoma Embryonic Antigen (CEA) in serum. 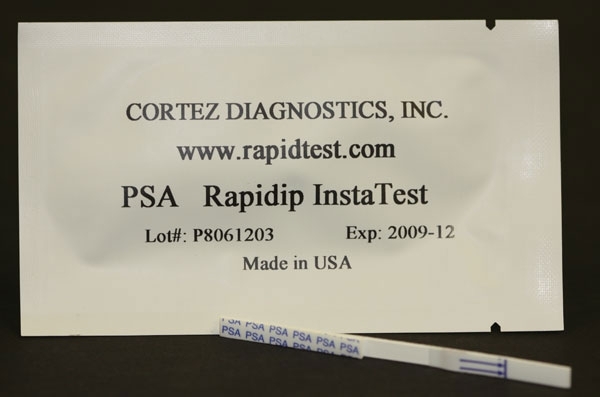 The CEA Rapid Test is used as an aid in the diagnosis of colorectal, breast, lung, and pancreas cancers. 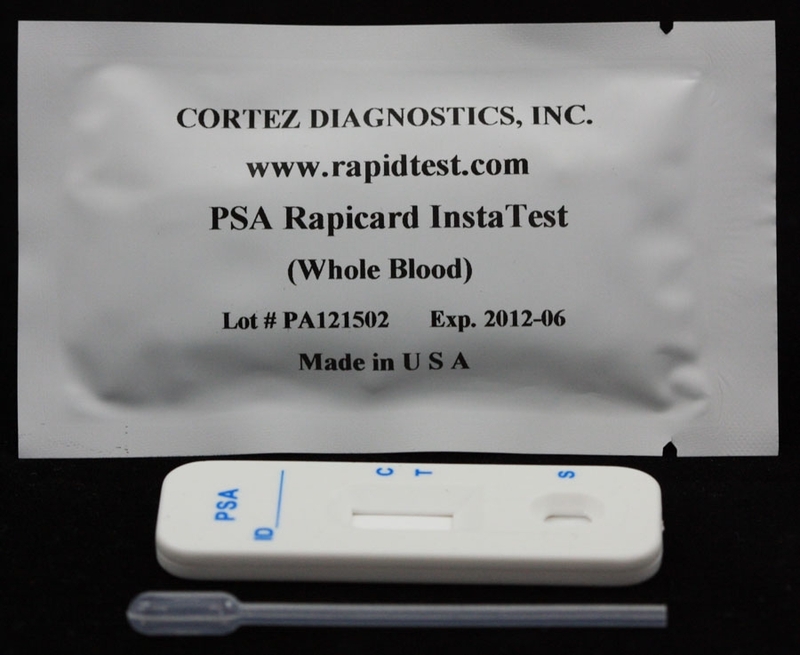 This Cancer CEA Rapid Test is for diagnostic use only. 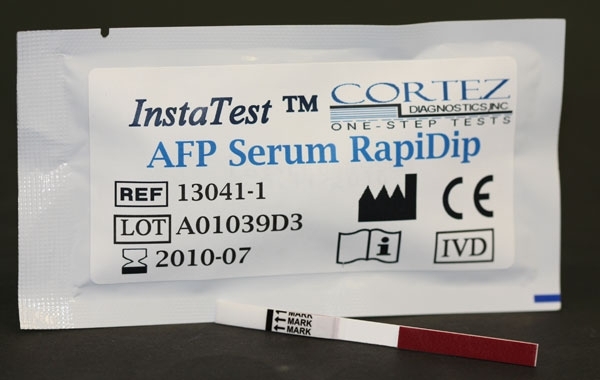 CEA Rapid Test is used as an aid in the diagnosis of colorectal, breast, lung and pancreas cancers. The test is based on the principle of sandwich immunoassay for determination of CEA in serum. Monoclonal and polyclonal antibodies are employed to identify CEA specifically. This one step test is very sensitive and only takes 10-20 minutes. The sensitivity of the test can reach to 5Î¼g/L. For additional details please refer to the instructions for use. 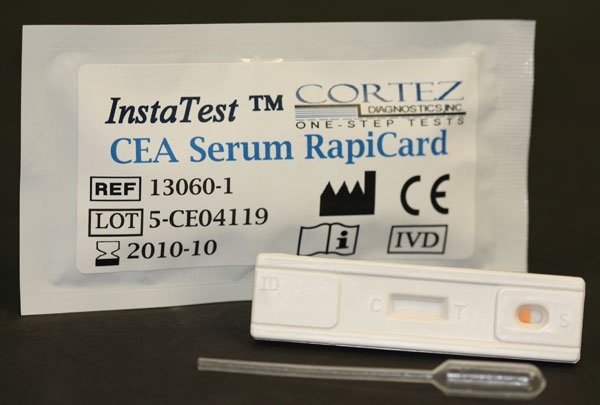 See CEA Serum Rapid Test Product Insert for specific details on preparation, procedures, quality control, and interpretation of test results.